Palestinian terrorism throughout 2018 showed two main trends: the increase of violence from the Gaza Strip after about three and a half years of relative quiet, and the increased number of Arab terror attacks in Judea and Samaria, according to a comprehensive survey on the subject. The Meir Amit Intelligence and Terror Information Center (ITIC), which published its annual study that analyzed these two main trends, noted that after about three and a half years of relative quiet after Operation Protective Edge the level of violence emanating from the Hamas-controlled Strip has significantly increased, and one of its manifestations was the 1,119 rockets and mortar shells that exploded in Israeli territory, compared with 31 in 2017, the highest annual number in the past ten years, with the exception of Operation Protective Edge in the summer of 2014. The terrorism and violence coming out from Gaza were led and modulated by Hamas. Hamas decided on a new policy of controlled violence to exert pressure on Israel to promote the organization’s objectives, which are the easing of Gaza’s economic distress, opening of the border crossings, and receiving payments for its officials while avoiding a comprehensive military confrontation. In Judea and Samaria, popular terrorism continued in its various forms, primarily stabbing, vehicular and shooting attacks. After Arab terrorism peaked in 2015 its scope decreased, but in the last months of 2018, there was an increase in the number of attacks. Shin Bet (Israel’s Security Agency) head Nadav Argaman, briefing the Knesset’s Foreign Affairs and Defense Committee in November, revealed that 480 significant terrorist attacks were prevented, that is, close to nine significant attacks were prevented for every one carried out. These preventive activities indicate, according to Argaman, the great potential for terrorism simmering under the surface. The Palestinian Authority (PA) and Fatah in Judea and Samaria continued their support for the so-called “popular resistance,” i.e., terrorism, but prevented Hamas from turning it into military-grade terrorism that would lead to a mass uprising against Israel and destabilize the PA. The ITIC recorded a total of 22 stabbing attacks in 2018, in comparison to 46 in 2017. The second most common type of terrorism was shooting attacks, with 13 in 2018 and 20 in 2017. On the other hand, the number of vehicular attacks rose in 2018 with 13, as opposed to 10 in 2017. 2018 was less lethal, with 12 Israeli civilians and soldiers killed, as opposed to 18 in 2017. A total of 74 Israelis were killed between the beginning of the wave of popular terrorism in October 2015 and the end of December 2018. Most of the attacks were carried out in the Ramallah region. In greater Jerusalem, which in the past was the preferred arena for terrorist attacks, there were eight attacks in 2018, as opposed to 20 in 2017. Most of the attacks were carried out by lone-wolf terrorists with various motivations. In ITIC assessment, their motivation was mostly nationalist. The profile of 2018 terrorists, 31 men and one woman, was similar to that of previous years: most of them were young men in their 20s, most of them without a criminal or security record, and most were not affiliated with an organization. In the ITIC’s assessment, the trends in terrorism and violence in 2019 will see the continued efforts by Hamas and other terrorist organizations to establish terrorist networks in Judea and Samaria. In 2018 Hamas’ efforts failed. Their success in 2019 will depend to a great extent on the efficiency of Israel’s preventive activities, and to a lesser degree on the PA’s preventive capabilities. Given the weakening of the PA and the war of inheritance being waged within the Fatah, security coordination between the PA security forces and Israel may be harmed. That might negatively affect the preventive activities carried out by the PA security forces. Popular terrorism will continue with PA and Fatah support, the ITIC estimates. The weakening of the PA and the possible disappearance of PA head Mahmoud Abbas from the stage may lead to internal tensions, some of which may be turned against Israel. Given the increase in popular terrorism in recent months, the ITIC assess that terrorism may reach a higher level in 2019. In the Gaza Strip, the border violence will continue. Hamas regards the Marches of Return as its most effective leverage against Israel and will continue to regulate the level of violence from the Gaza Strip in accordance with its interests. Violence from the Gaza Strip in general and along the border, in particular, will continue, with increasing and decreasing levels of violence, and with attempts to create new methods of attacking Israel. Hamas may try to exert pressure on Israel, which may increase as the general elections in Israel approach. 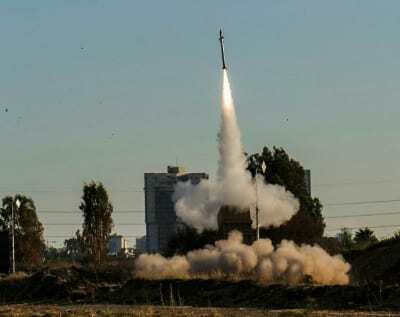 This may lead to additional rounds of escalation during which the communities in the western Negev, and possibly more distant population centers, will be exposed to rocket and mortar shell fire from Gaza. Hamas’ policy of controlled violence does not seek a broad military confrontation with Israel, but the violence instigated by Hamas and the other terrorist organizations, and the worsening economic situation in the Gaza Strip, create a fragile, explosive situation with the potential to deteriorate into a broad military confrontation, even if neither side wants one, the ITIC warned.